Home / Hair Loss / Hair Loss – Why Does It Occur? Hair loss occurs when the hair follicles stop reproducing themselves. Hair Loss is normally genetically inherited and how it will affect you is often genetically pre-determined. The only other causes know are either illness or medication, which by changing either your physiological structure or your health can affect the supply of nutrients to certain parts of your body, including the hair follicles. Hair has a lifespan of between 2 to 6 years. When hair eventually falls a new hair starts growing after the rest period of a few months. So it is quite normal for the hair to fall out every day. When this happens it does not mean that the hair lived and died, but rather that the hair fibre has done its programmed function and the root will get rid of it to start a new cycle. Hair loss only becomes a problem when the new hair is not produced at the same rate as the lost hair. Because we have so many hairs on our scalp when this loss process starts we do not realise the effect of it until we start seeing the scalp. Apart from the natural programmed shedding of hair there is also other reasons why hair loss can occur prematurely. One common reason is illness or disease or the treatment to cure these conditions. Then there is also accidental hair loss, which can result from physical damage to scalp through cuts, abrasions and burns. There are also scalp conditions such as infections and fungal or parasite invasion. On top of all this, of course, there is Male Pattern Baldness. There is no cure and it can strike men at almost any age without much warning. Cancer treatments can result in hair loss or baldness through the mechanism of the body’s defence system attacking indiscriminately to destroy cancer cells. Radiation therapy in some cases can also result in hair loss. 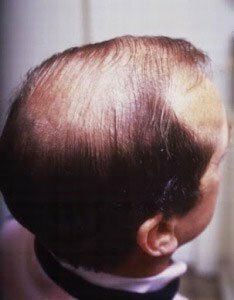 Receding hairlines and hair loss at the crown of men’s hair are caused by the hair follicles at the hairline or on the top of the head being programmed to cease growing. Male-pattern baldness is permanent. Women experience hair loss as they age but less than men and the loss is usually spread diffusely over the scalp. 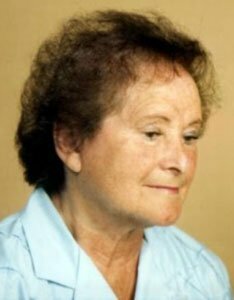 Oestrogen hormones are known to help hair loss and because women have more oestrogen in their bodies than men they seem to be somewhat protected from genetic programming of hair loss. As oestrogen levels start decreasing after menopause hair loss can become a problem in women and is permanent. Why do some never lose their hair? This is genetically determined. As to the reason why some are chosen; no one really knows. All explanations are mere speculations. Postage and packaging is included for UK mainland and addresses for orders over £16. Orders under £16 are subject to a £5 postal charge.